Join us for a Saturday afternoon Art Show opening in celebration of travel, photography & giving back! While in Peru the group spent a day photographing street children at The House of the People of the Sun in Cuzco, a project supported by The Planeterra Foundation. Last year we raised over $900 for the Planeterra Foundation and we look forward to giving back again this year, with money earmarked directly for the House of the People of the Sun project. 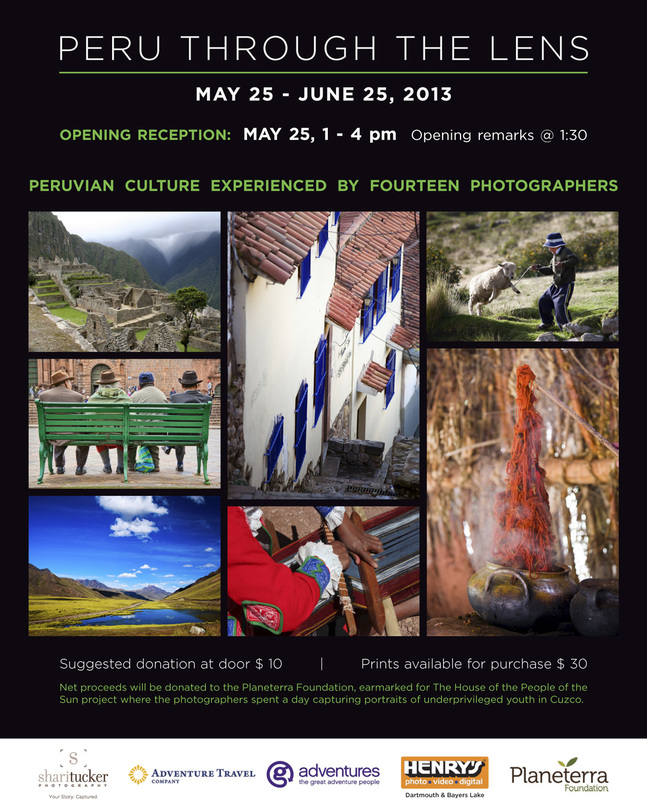 Join us Saturday, May 25th to view & buy photos from Peru Through the Lens participants and help support street kids in Cuzco, Peru and maybe win yourself a little something from Peru or a voucher for your next trip with G Adventures! There is no fee to attend the opening, but donations for Planeterra Foundation are appreciated and will be accepted at the door. Opening Remarks will be from approximately 1:30 – 2:00pm. Show will continue to be displayed until June 25th, 2013.